1. Go Christmas caroling. Delight your friends and neighbors with your favorite Christmas tunes. A warmer solution may be to delight residents of a local hospital or nursing home. 2. Buy an Advent calendar for your home. Count down the days to Christmas with some sort of calendar with a Christian theme. The first day of Advent is the fourth Sunday before Christmas, so its date varies year to year… It’s easiest to buy or make a new Advent calendar each year. 3. 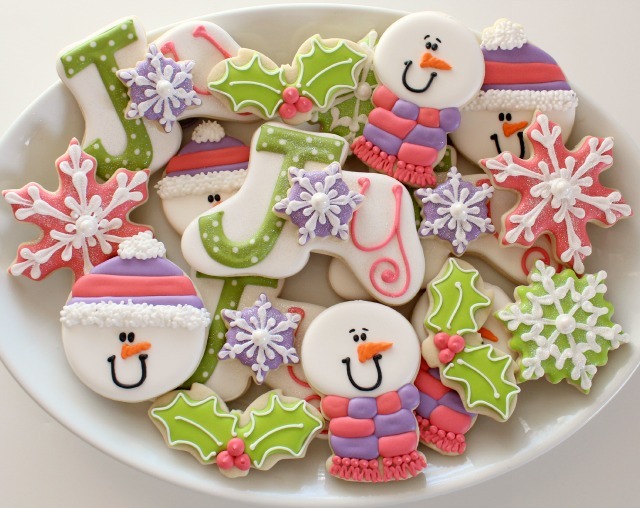 Bake Christmas cookies. Get the children in the kitchen and let the sprinkles fly. Enjoy the time together and the great treats. 4. Take a family picture. Get the whole crowd together and take a group picture. Sometimes the only time everyone is together is around the dinner table at Christmas. 5. Keep a holiday scrapbook. A great place to collect those family photos is in a special holiday scrapbook. Don’t forget to include a special section for family recipes and other mementos special to the Christmas season. 6. 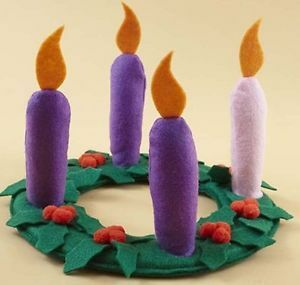 Create an Advent wreath for your home. Light the candles of an Advent wreath each evening before dinner, and quietly enjoy their light for a moment. Each week has a focus; on Sundays, find and learn together a brief Advent prayer for the coming week. 7. Start a jigsaw puzzle. Get the whole family around the table to put together a Christmas-themed jigsaw puzzle. It may be the most time you have spent around the table all year. 8. Make handmade ornaments. Have the children make something special for the family Christmas tree each year. Be sure to put their name and the date, so you can tell future grandbabies how creative their dad was at 5-years-old. 9. See the lights. Pile everyone in the car and check out the Christmas lights and decorations in your community. Some places also have displays in the downtown areas. 10. Find Advent readings for your devotion time. Several churches and websites have a special list of daily Bible verses specific to the season of Advent. 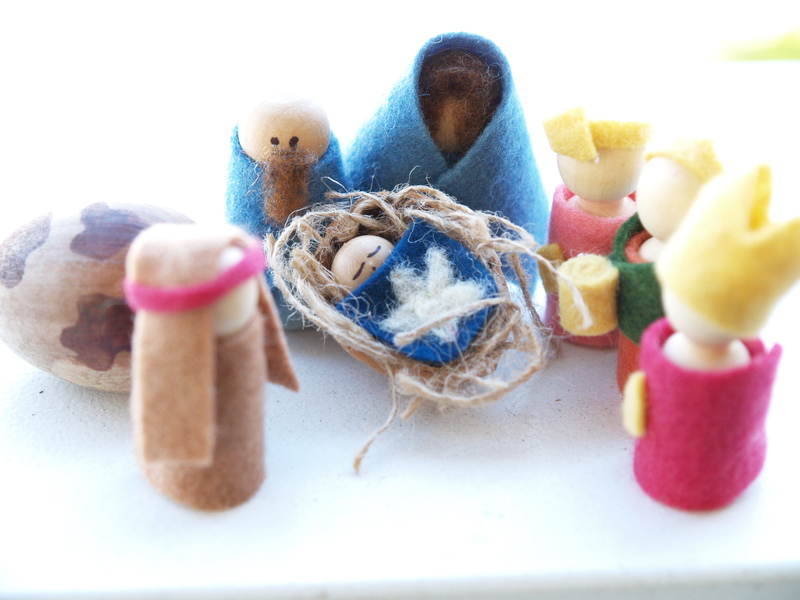 Include the readings as part of your personal preparations for the celebration of the birth of our Savior. 11. Celebrate the 12 Days of Christmas. According to the church calendar, the Christmas season doesn’t begin until dark on Christmas Eve. Find fun ways to keep the celebration going. 12. Make Christmas special for someone less fortunate. Find someone who has lost a loved one or is having a hard time and become their “Secret Santa.” Make it your mission to make their day a little brighter. Choose this person wisely, you do not want to get shot or arrested this holiday season for dropping off presents anonymously and scaring someone. 14. Make your own Christmas cards. Get crafty yourself or enlist the help of the children. Make each card a little gift from the heart. 15. Get in the kitchen. If you don’t know how to make your mom’s dressing, get in the kitchen and learn this year. Don’t put it off. Food is a big part of every family’s Christmas traditions. 16. Take a nap. Plan to sneak in a nap during the busy holiday season. You and other family members will be better people for it. « All Aboard the Holiday Express!